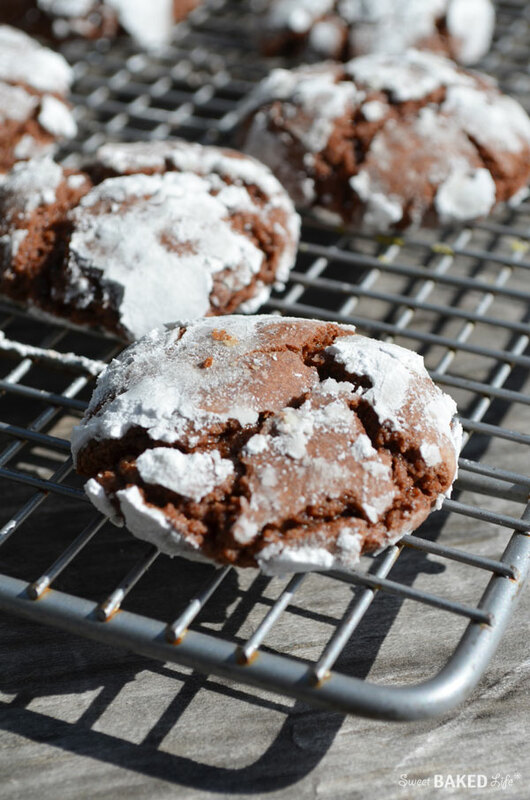 Simply scrumptious, these Chocolate Crinkle Cookies are morsels of dark chocolate goodness dusted with powdered sugar — to me they look like pillowy chocolate clouds! 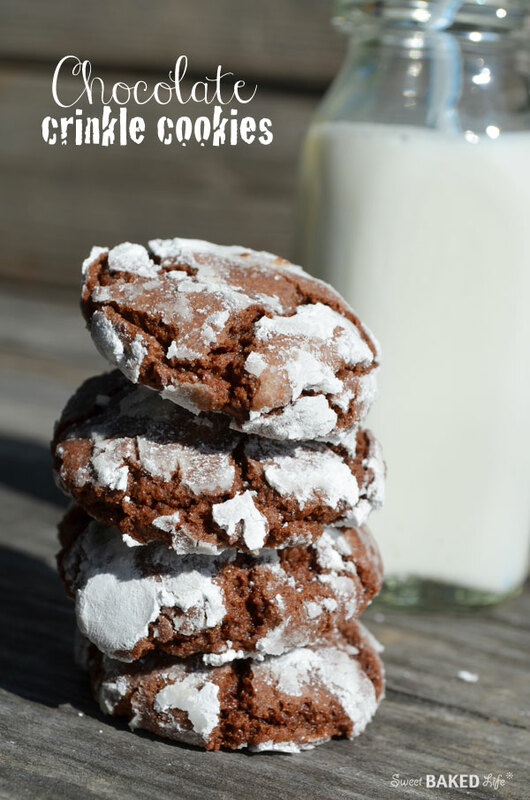 Can you believe I have never made Crinkle Cookies before? It’s true. I’ve always wanted to make them, but for some reason or another never did. Lately, visions of these chocolaty cookies have been invading my thoughts. So, I gave into my temptation and dusted off my cookie trays to bake these soft beauties! I know, I know, people usually make these cookies over the holidays, but, why not break-out from that old tradition and make these delicate delights any time you please? You see, I’ve been a bit turned upside down at work lately, so, for me, deciding to make these cookies at this moment in time was absolutely perfect! Especially since my chocolate craving seems to be at an all-time high! I also thought it would be a good time to treat my family to some fluffy homemade cookies to show them know how much I appreciate them during this crazy time! And, they LOVED them — well, they pretty much love all cookies. However, they were thankful I made them — mostly because I don’t bake cookies much! These cookies are super simple to make. And if they weren’t, I would not have made them! You use ingredients that you probably have in your pantry right now; sugar, cocoa powder,vanilla, butter, and eggs. After you mix them, roll them into balls and toss them into some powdered sugar, they are ready for the oven. As they bake, they crack which gives them the delicate crinkle look, — an irresistible treat for sure! 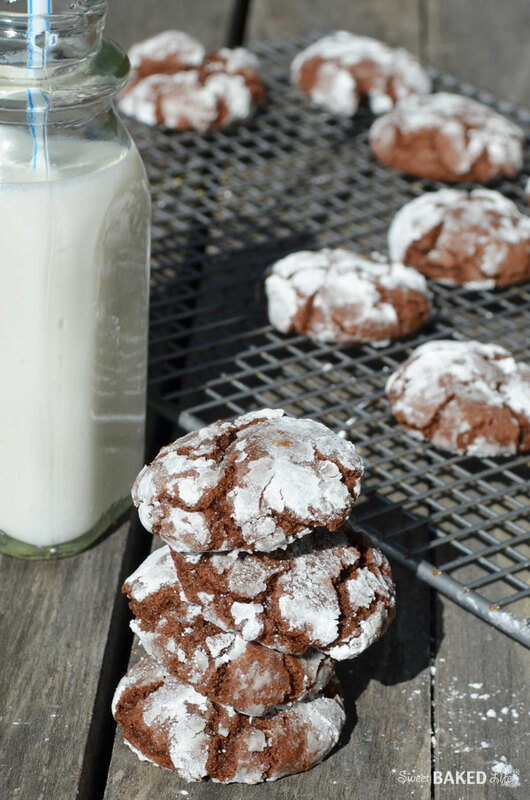 Be warned, these Chocolate Crinkle Cookies go fast! Next time I will definitely double the recipe, and I would suggest that if you make them, you consider doubling it too! Yes, they are that good; super soft and moist and the dusting of sugar makes them look so pretty. In a small bowl, add the confectioners sugar and set aside. In a medium bowl, add the flour, cocoa and baking powder and whisk until combined. In a large bowl of an electric mixer, beat the sugar and butter on medium speed until creamy, about 2 minutes. Add the eggs, one at a time, beating until well combined after each addition. Then add the vanilla and beat until combined. With the mixer on low-speed, slowly add the flour mixture and mix until just incorporated. To form the cookies, scoop the dough using a 1-inch cookie scoop, and place the dough in the palm of your hand and roll. Place dough ball on a piece of wax paper. Repeat using all of the dough. Then, one-by-one, roll the balls in the confectioners sugar and place on a baking sheet, placed about 2 inches apart. Bake for 10-12 minutes. Remove cookie sheet and place on a cooling rack and allow cookies to cool for 12 minutes. Then remove cookies from sheet and place directly on rack until completely cool. Repeat until all cookies are made. 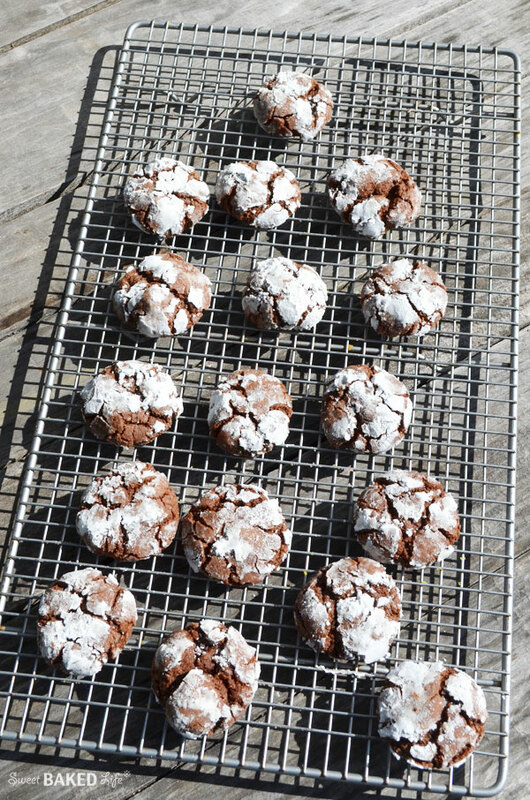 Get ready to break out of your routine, and bake a fresh batch or two of these delightfully good Chocolate Crinkle Cookies now! These look so good Sheila – especially considering the everyday ingredients! Thanks Angela! Have a sweet day!